China’s Chang’e-4 probe successfully carried out its first biological experiment on the Moon’s far side, as the latest photo released by scientists at the Chongqing University on Tuesday showed that one of the cotton seeds, taken up to the Moon by the lunar exploration probe, has sprouted. According to professor Xie Gengxin, chief designer of the biological experiment payload, the first “visitors” include seeds of potato, cotton, Arabidopsis, rapeseeds, as well as fruit flies pupae, and some yeast. A micro-ecosystem in the biological experiment payload. Due to the limited space inside the 2.6-kilogram payload, and the growth characteristics of certain lifeforms, these six subjects were chosen for the creation of a micro-ecosystem on the Moon. 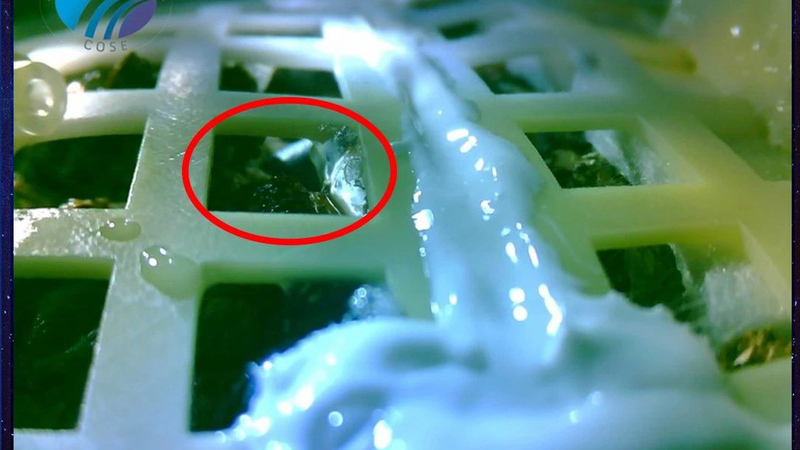 An image of the first-ever cotton sprout on the Moon was released by the Chongqing University which led the design team of the biological payload on the Chang’e-4 lunar mission. Now it is night on the Moon and the temperature has dropped to nearly 180-degree centigrade below freezing. All the equipment has powered down, and the remaining seeds and animals will be gradually decomposed down to organic fundamentals. The Moon has an environment defined by low gravity, strong sunlight and harsh radiation. To better understand how plants and animals can grow in different environments, scientists have set up two identical payloads which will start simultaneously: One on the moon, and the other on Earth. Scientists have set up two identical payloads which start simultaneously with the one on the moon, one on Earth. As the pictures from Chongqing University show, two of the plant seeds have sprung up on Earth: One is a cotton seed on the Moon and the other is a rapeseed on Earth. Will this pollute the lunar environment? Many scientists around the world are wondering whether or not these plants and animals will pollute the lunar environment. Professor Xie confirmed that’s impossible because the payload is sealed and they have taken every measure to prevent such a thing from happening. Professor Xie told CGTN that, as is known, no air nor oxygen exists on the Moon, and the temperature is always very extreme (over 100 degree Celsius in the daytime and 180 degree Celsius below freezing at night). 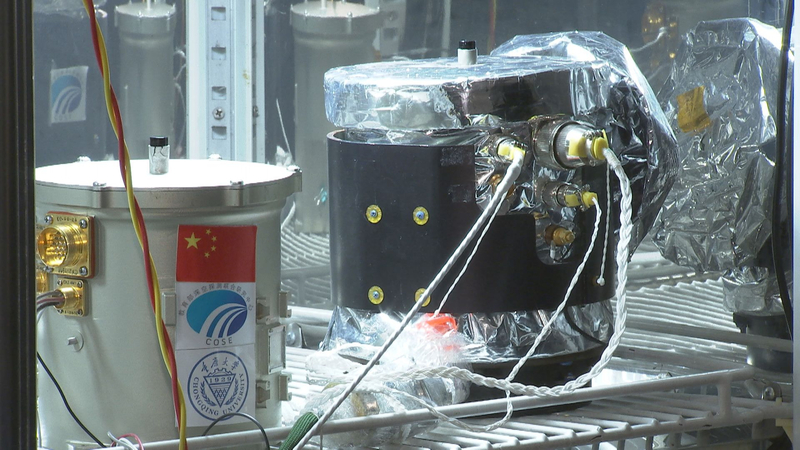 “Even if some of them leaked, they would have no chance of survival, they would be decomposed to harmless organics with no pollution on the Moon,” said Xie. What is the significance of this experiment? According to Xie, the project will show the growth process of biological plants and animals under the conditions of low gravity, strong radiation and the natural illumination of the lunar surface. Researchers from Chongqing University are now monitoring the growth data 24 hours a day, and recording the latest conditions accordingly. Based on the data, scientists are able to make preparations for their next biological experiment – on the Moon or beyond.